Let those who approach your desk be forewarned by the wording on this fantastic Wizard of Oz Monkeys 11 oz. Mug. 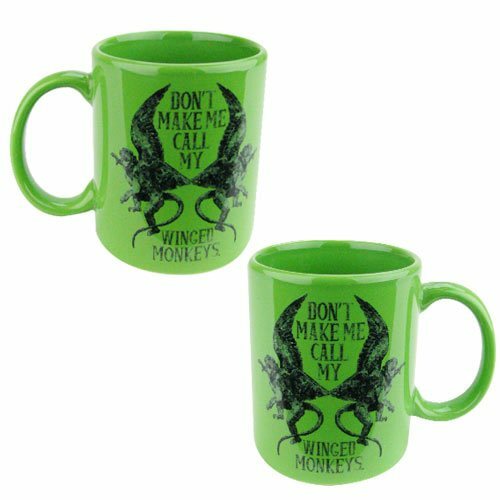 It features the words "Don't Make Me Call My Winged Monkeys" and an image of the frightening creatures. Dishwasher and microwave safe, the mug comes packaged in a display box. Ages 14 and up.